Heavenly Beef Rice Bowl. 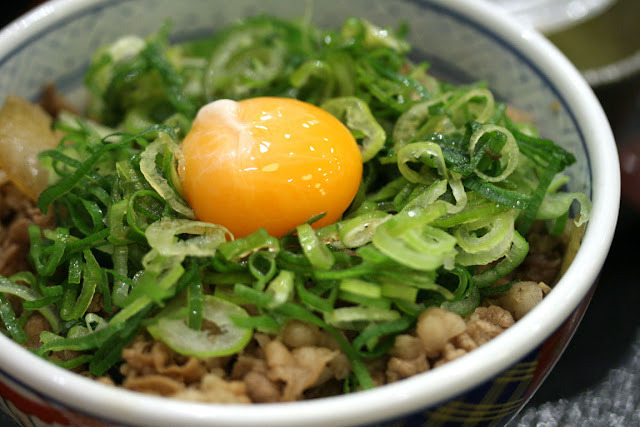 Only at Yoshinoya in Japan (not the ones in United States). I like the Yoshinoya chains in Harajuku and Shibuya. I go to Yoshinoya every time I visit Tokyo. 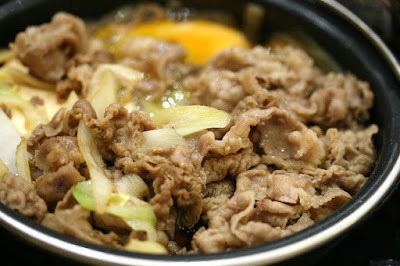 It's cheap and has superb beef quality, especially with the raw egg, which adds texture to the dish.